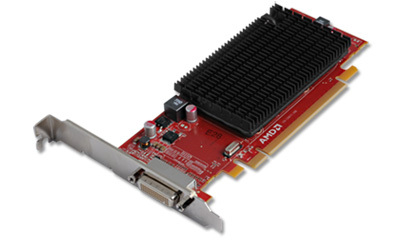 AMD today introduced two new additions to its professional line graphics cards – the fan-less AMD FirePro 2270 and active-cooled ATI FirePro V5800 DVI. Both cards supports DirectX 11 and OpenGL 4.1 and can drive two monitors. The entry level FirePro 2270 low-profile, passively cooled graphics has 512MB of DDR3 memory and consumes 15 watts maximum power and less than 10 watts on average. It has support for DisplayPort, DVI and VGA connectivity and is available starting at $149. 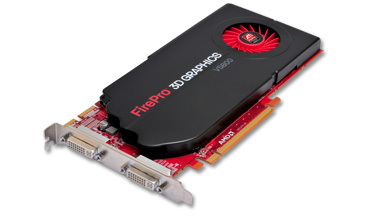 The ATI FirePro V5800 DVI has 800 Stream processors, 128-bit memory interface of its 1GB GDDR5 VRAM, two DVI ports, under 75W maximum power consumption and can drive up to two 5 megapixel displays. The professional video card is available for $469.